The movie Padmavati is based on an epic poem, Padmavat, written in 1540 by Sufi poet Malik Muhammad Jayasi, and not based on facts from history, the director told the Parliamentary Panel. 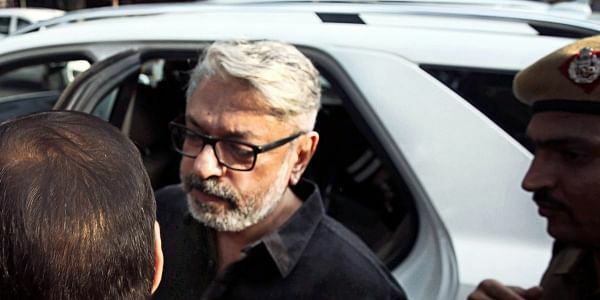 NEW DELHI: The movie Padmavati is based on an epic poem, Padmavat, written in 1540 by Sufi poet Malik Muhammad Jayasi, and not based on facts from history, director Sanjay Leela Bhansali apprised a Parliamentary Panel, when he appeared before it on Thursday. The 30-member panel, headed by BJP MP Anurag Thakur, questioned Bhansali for more than two hours, sources said. According to sources, three members of the panel opposed the release of the movie, while several others were in support of the movie. A petition was filed in a judicial magistrate first class court in Bihar’s Gwalior on Thursday against Madhya Pradesh Chief Minister Shivraj Singh Chouhan for not allowing the screening of ‘Padmavati’ in the state, even before the Censor Board has seen and cleared it.